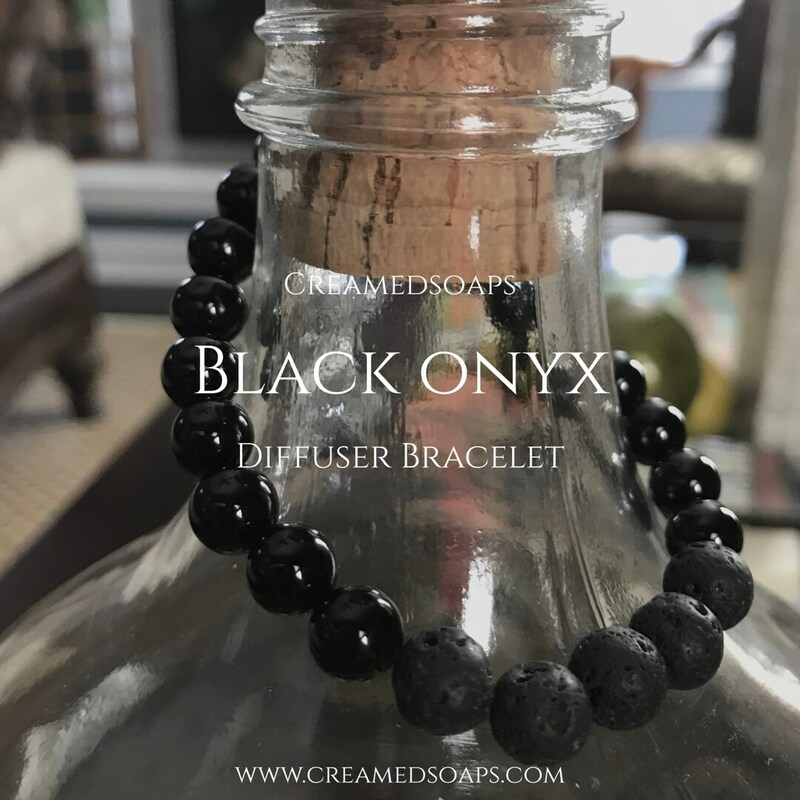 This beautiful black onyx Diffuser bracelet is a stunner! Sleek smooth onyx gemstones accompanied by black lava rock to complete the ultimate classic accessory! Diffuse in style with this 7.5 inch bracelet, crafted with 8 mm onyx beads. **Please MEASURE YOUR WRIST prior to purchase to ensure you have the correct size. 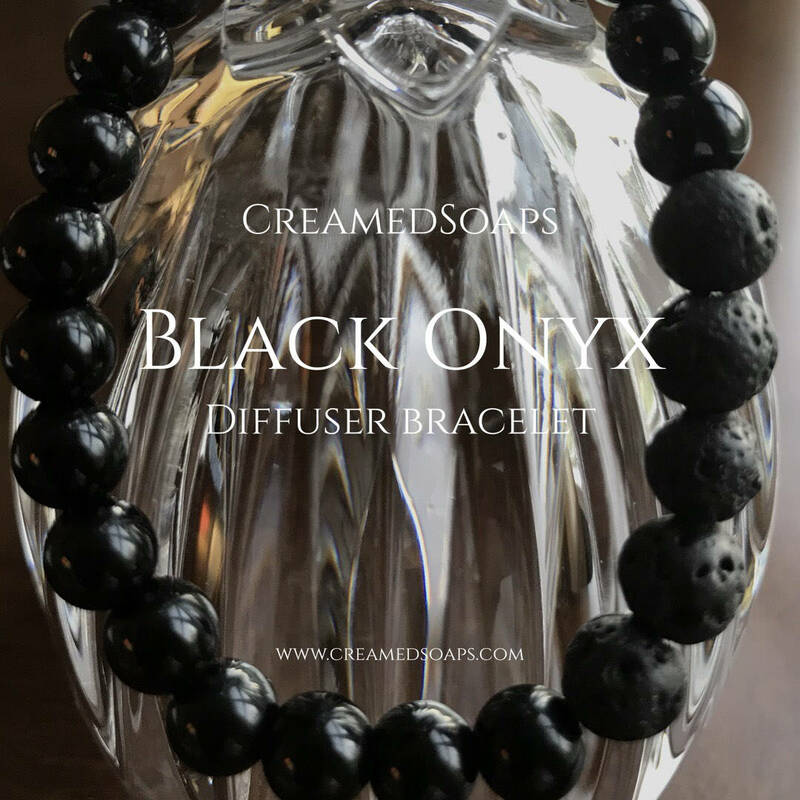 Diffusing essential oils can be fashionable with this handmade, natural diffuser bracelet! Just put 1-3 drops of your favorite essential oil blend on the lava rock, and let the rock do the work! Scent last up to 3 days based on the quality of your essential oils. This bracelet is made with 8mm Onyx gemstone, and 3 porous lava rocks to diffuse essential oils.